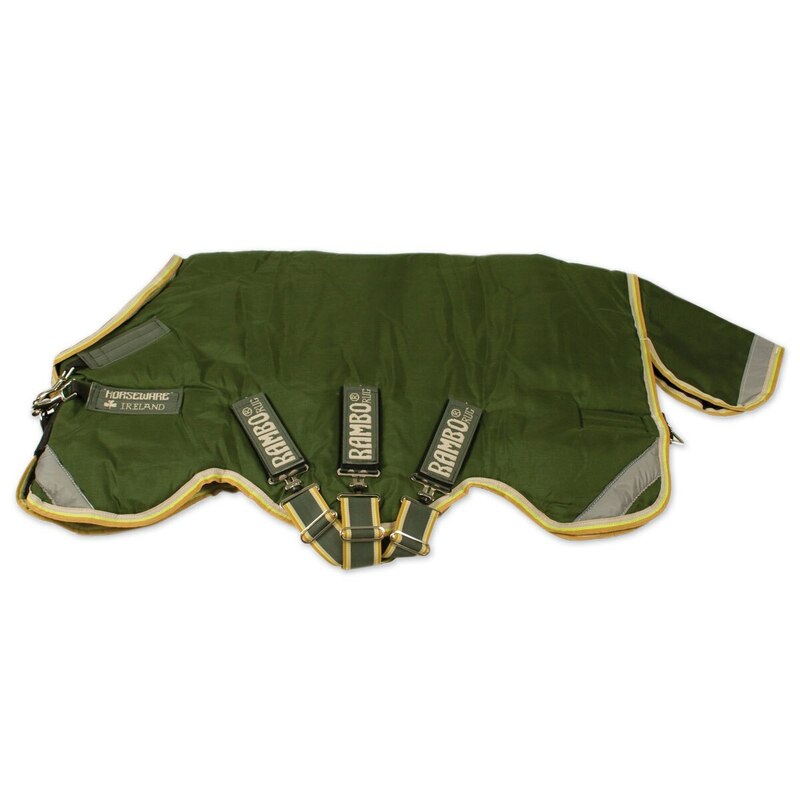 The Rambo® Original Turnout Blanket w/ Leg Arches gives you iconic Rambo style and durability, now with leg arches to give your horse more freedom of movement. This sheet boasts a classic cut and design that never go out of style and has reflective strips for added visibility. Additionally, it’s constructed from a tough 1000 denier ballistic nylon outer that’s made to last. 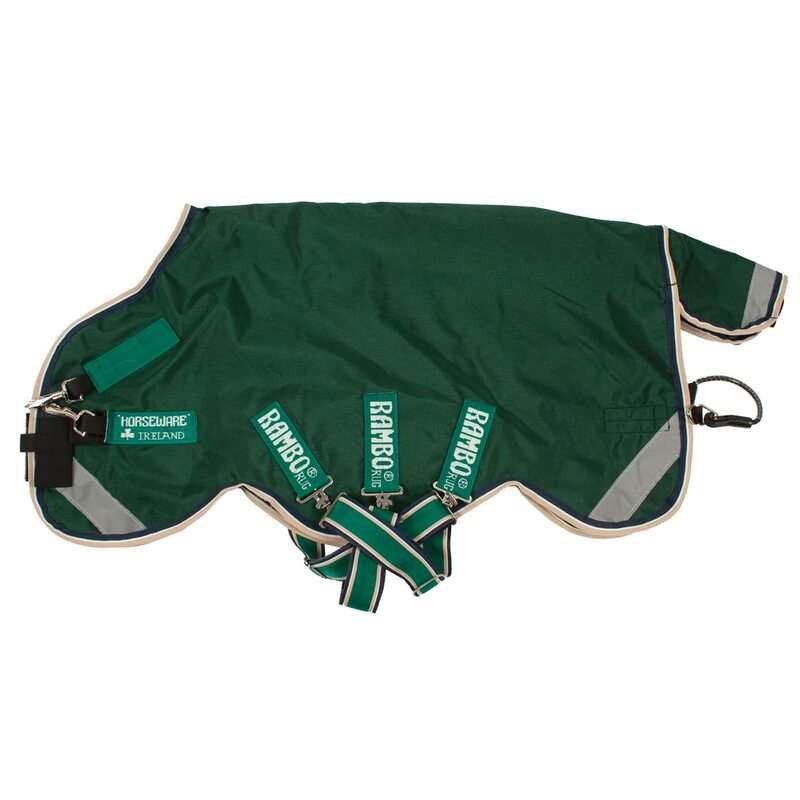 It’s is not only breathable and waterproof, it also features Aquatrans® technology that draws moisture and sweat away from your horse’s coat to keep him warm, dry, and comfortable. 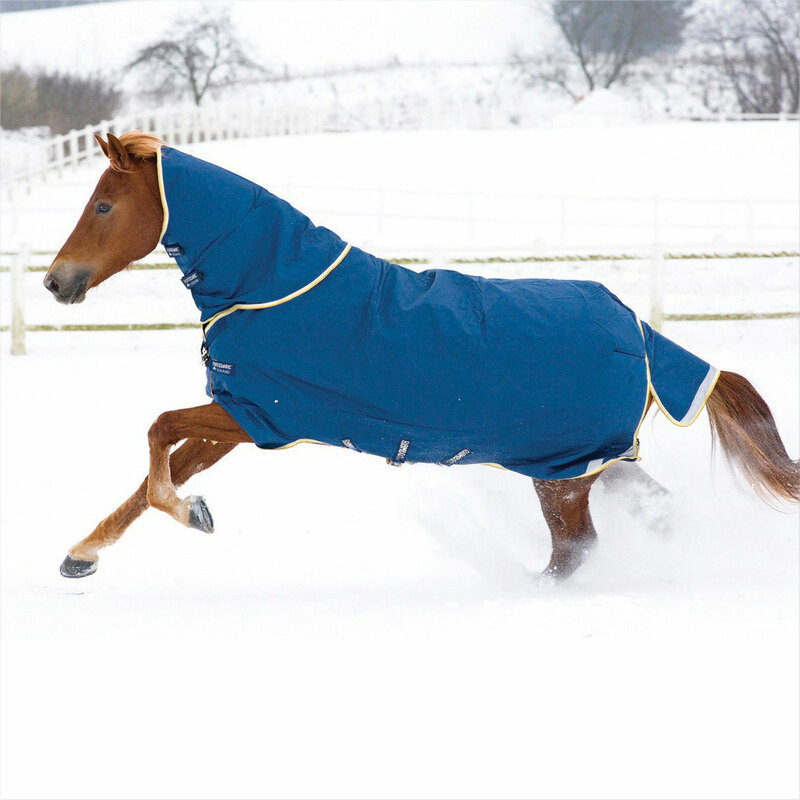 The thermobonded fiberfill offers longer lasting heat retention to keep your horse toasty, too. Plus, the lining is moisture wicking, shine enhancing, and antibacterial so your horse looks and feels great. The V-front closure reduces pressure on the shoulders and, combined with the triple cross-belly surcingles, offers a secure fit. Last but not least, a tail flap adds extra protection with a wipe-clean tail cord that makes clean up a breeze. 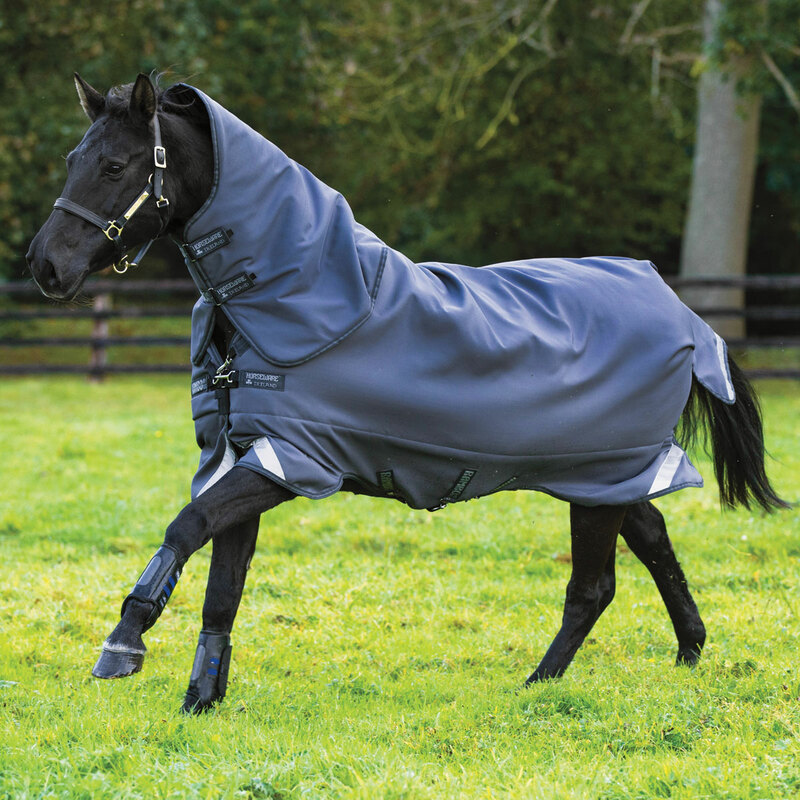 There’s a reason this sheet is a classic - you and your horse will love the protection and durability that it offers. Available in Medium/Light (100 g), Medium (200 g), and Heavy (400 g). 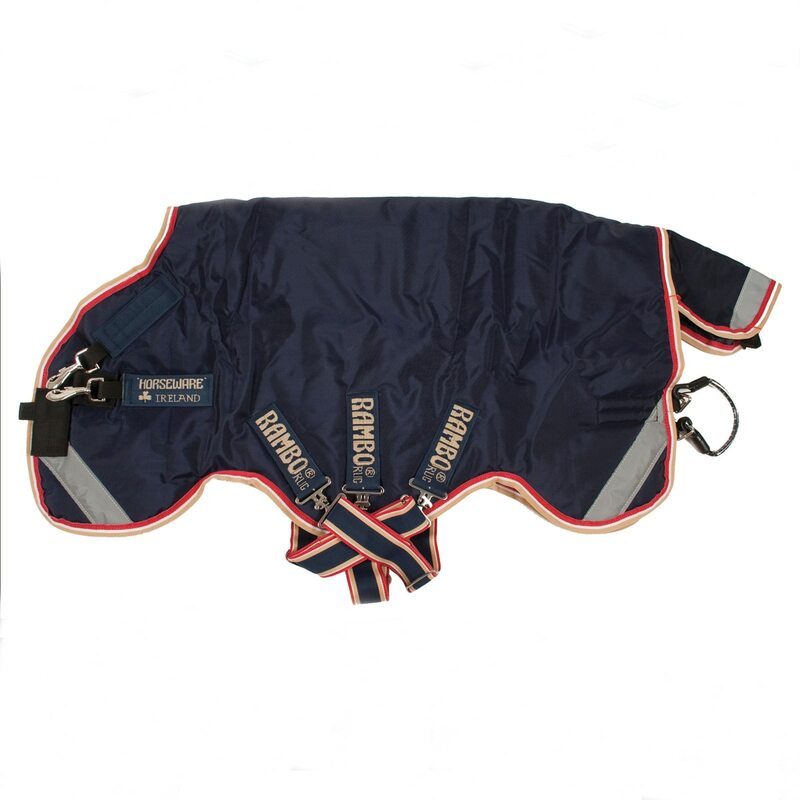 Compatible with the Horseware Interchangeable Liner and the Horseware Vary-Layer Interchangeable Liner. Special Features Wicking nature of the lining pulls moisture away from the horse's body where it is absorbed by Horseware's unique AquaTrans coating. Leg arches for increased freedom of movement. 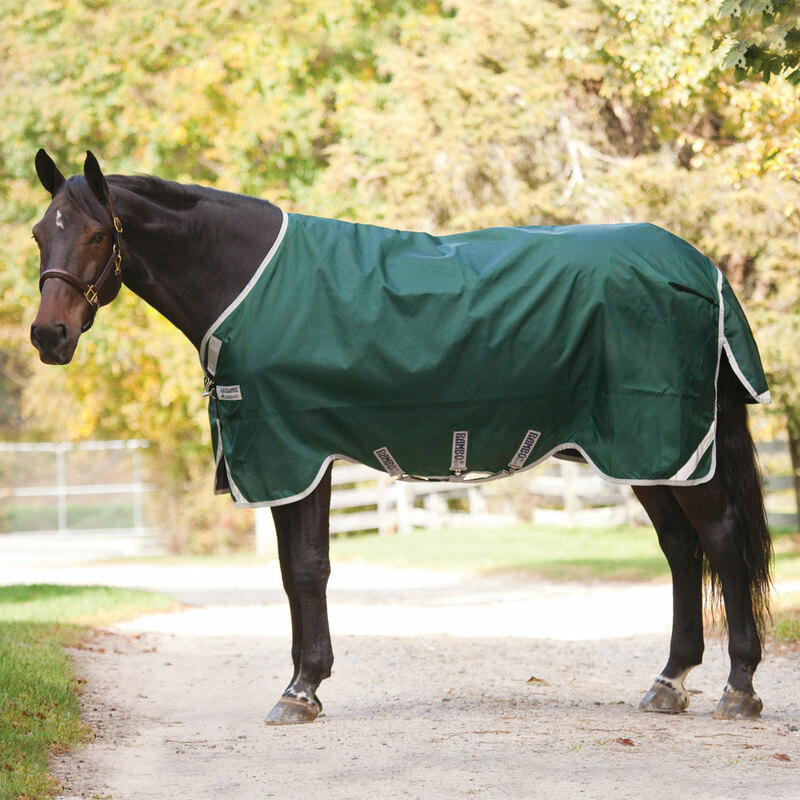 Rambo® Original Turnout Blanket w/Leg Arches is rated 4.8 out of 5 by 59. Rated 5 out of 5 by Katie from Rambos are worth the money I have several Rambo original blankets that are over 20 years old and still in use. I've tried cheaper rain sheets but they don't stay waterproof for long. Rambos are well worth the money. Rated 5 out of 5 by Luvmymorgan from Great blanket I was determined to find a waterproof rain sheet /blanket after trying several that disappointed. This one is wonderful! My horse was completely dry after hours of soaking rain. The fit on my Morgan is perfect with no rubbing. Was concerned that there are no leg straps, but the tail cords work great with no slipping of the blanket despite lots of rolling. The blanket was expensive, but worth every cent knowing Cosmo is warm, dry and comfortable. Rated 5 out of 5 by jlh78 from Worth the investment I purchased this after returning the Smartpak/Rhino stable blanket due to it's poor quality. I could not be happier with my decision. I got the light/med weight (100g fill) and it's perfect for Southern California. The fit is fantastic and I am pleased with the quality and features. It's also awesome that I can add a liner to it if more warmth is needed. It is exactly what I would expect form Rambo. 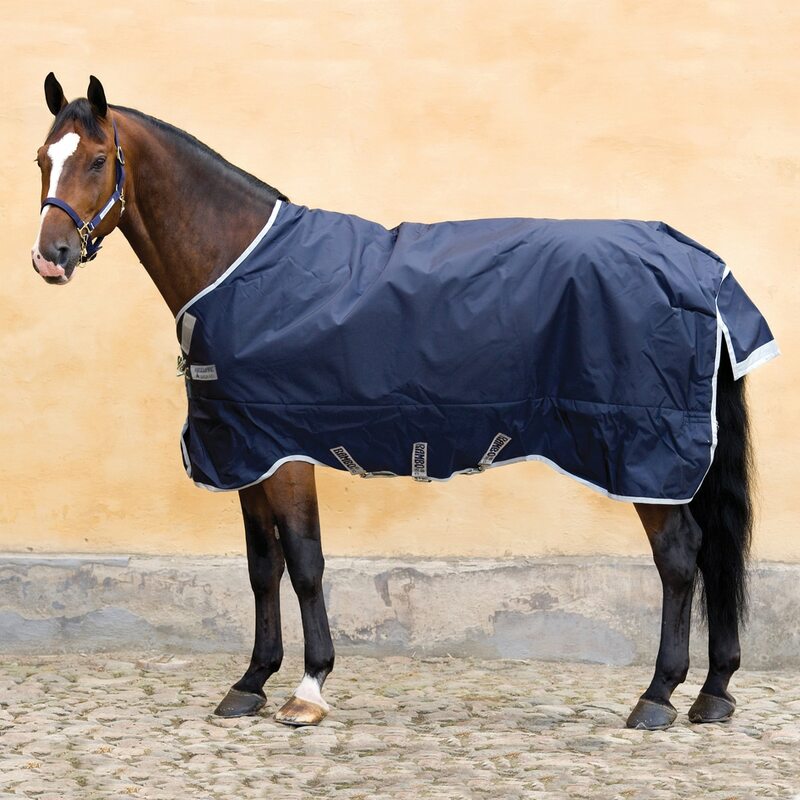 Rated 5 out of 5 by Horse lover from The Best Blanket These blankets last and last and retain their waterproofing if you wash them in Rambo wash or a non-detergent product. Rated 5 out of 5 by Cattleya15 from Excellent fit I have an Appendix mare with shoulder confirmation that creates rubs with stock horse blankets. This sheet has solved the issue. The only thing i don't care for is the tail strap. I prefer the leg straps. The tail one has gotten pretty filthy in a short time. Rated 5 out of 5 by Aimeeleigh from Strong, sturdy, and very warm! My TB gelding recently destroyed his medium weight turnout, so I started to research his replacement. I saw nothing but rave reviews for the original Rambo in terms of durability, and also read about great fit for horses with high withers. So far, the blanket is holding up well to all the hype - no blanket rubs and no damage, hooray! Very happy with this blanket...you really do get what you pay for in the horse world! Rated 5 out of 5 by SS_Lou from Tough and effective I needed a new rain sheet and am so happy I went with the Rambo. Durable, fits him well (OTTB), and with these crazy fall temp fluctuations I don't have to worry if it gets a little warm because it's breathable - he was still dry underneath. Pricey, but I consider it an investment just like the Rambo medium I bought for him last year. Rated 5 out of 5 by MegJ from Great Product Line I bought this blanket for my 16+ hand Arab cross. He is a very difficult fit but this blanket fits him very, very well. My mom also bought one for a 16+ hand quarter horse. It fits him perfectly. Great quality blanket! Rated 5 out of 5 by Katie from Love Rambo I bought this just because it was time for a new sheet for my horse. I purchased my normal Rambo size and fit perfectly. Rated 5 out of 5 by Lauren from Great quality I bought this blanket, a mid weight and a sheet over the last month. They are great, they fit perfect not rubs! 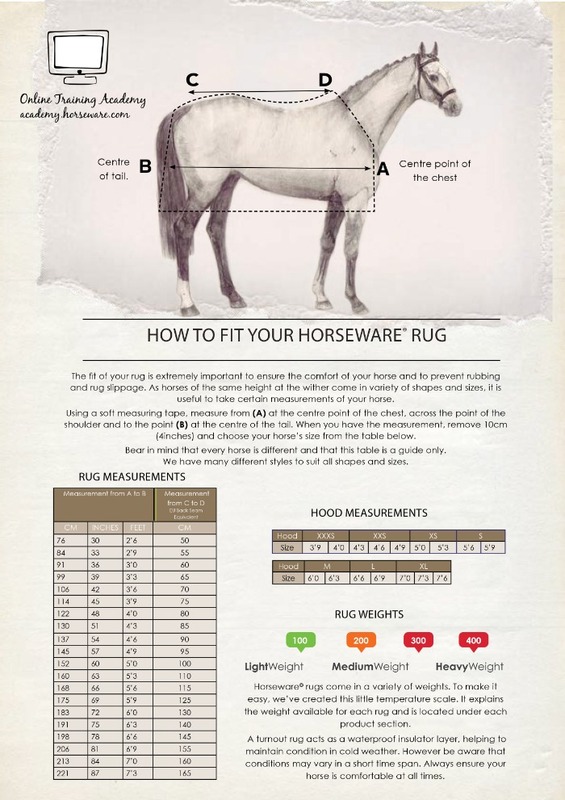 Great horseware quality.